Whether you Movember or No-Shave November, here at Big Red Beard Combs we feel any month that celebrates Beards and Moustaches is cause to celebrate! What better way to celebrate than to give away free stuff? I think you’d agree. 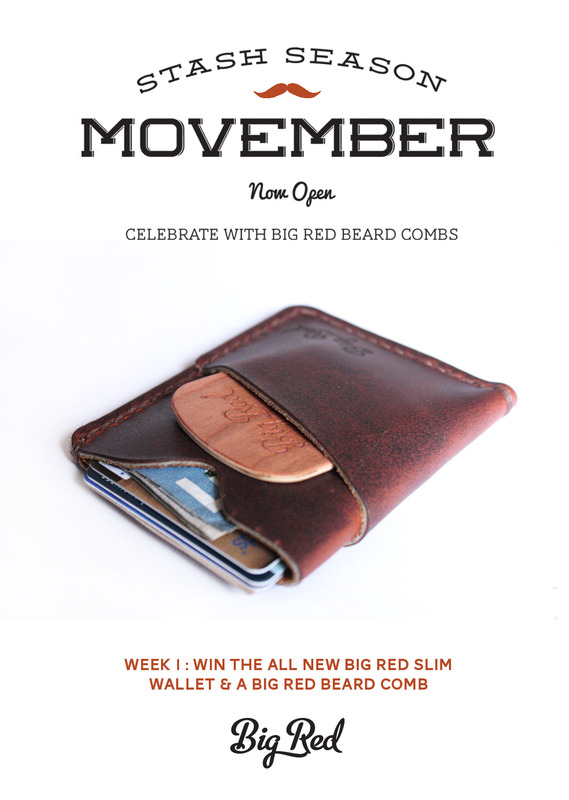 To celebreate out bearded bros and mo bros, every week this month we will be giving away a Big Red prize pack. Best part about it, is that it couldn’t be easier to enter to win. All you have to do it enter through our social media outlets – the more social media outlets you follow us on, the better your chances are to win. We’ll be posting our weekly Movember prize pack a few times each week and all you have to do is: Follow Us, Like and Share the picture. Simple. Easy. Free stuff. I got my #5 today, can not be happier with the comb. These combs are much sturdier than I thought possible for its size. And also cool as hell looking, I got the ” beards til death ” skully. Good job on these guys!